Where Do You Get Book Recommendations? 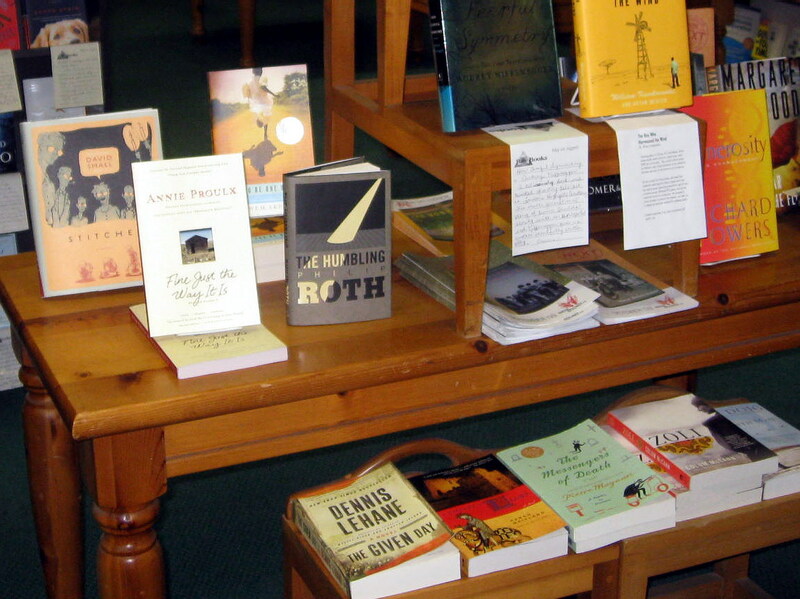 Last week I had the good fortune to visit one of my favorite indie booksellers, Bay Books on Coronado Island. This is a great store, small but extremely well-stocked, with knowledgeable staff to recommend and discuss books. It got me thinking about how my own reading habits have changed since I’ve started doing most of my reading on my Kindle. Don’t get me wrong – I love my Kindle, and I have been a Kindle reader since its inception. Recently, however, I’ve noticed that I’ve been jumping around, finding it difficult to settle on a book I want to read cover to cover. This is unusual for me, so I began to analyze what’s happened to my reading habits. My trip to Bay Books crystalized my thinking. I miss examining a real book before I commit hours of my life to it. When buying ebooks on Amazon, I tend to limit my choices to specific books that I am searching for, usually after reading a review or getting a recommendation. While I was in Bay Books I realized that some of my all-time favorites are books that I stumbled upon while browsing in a bookstore, often titles I had never seen. While Amazon displays the covers and provides free samples of the book, it really isn’t the same as holding the unknown book in my hand, flipping through the pages, maybe discussing the book with knowledgeable staff. I realized that the “real world” assessment of a book seems to net better results for me. I’m not saying I won’t continue to love reading on my Kindle, but I am going to make a more concerted effort to get to some of my favorite Indies: Bay Books, Laguna Beach Books, and Vroman’s in Pasadena to name a few. How about you? Where do you go for great recommendations? Please participate in the poll below. I’d love it if you would also follow up with a comment to elaborate on your response. Kovgab, I’ve had the same experience. Also the opposite, where a book might have a lot of very positive reviews, but I find that it just isn’t for me. Have fun! I can’t wait to go back. The friend I’m traveling with has actually found, and rented for us, the Steinbeck Cottage in Pacific Grove. Apparently it was a summer cottage that he lived in briefly in 1941. I’m trying to decide which book(s) to reread before our trip. Do you have a recommendation? Click to get blog updates sent to your e-mail automatically. Keep up on news from the literary world! You can find the link to my reviews by clicking on “Links to Reviews” at the top of the page. I don’t review all the books I read in the course of a year. However, if you see a title on my list that interests you, please feel free to leave a comment on my most current blog post asking my opinion of any book I’ve listed.